Warning: today’s post is going to have international flair. Don’t worry, there will be no international secrets stolen, no mention of wars, or weapons of mass destruction. Not even any mention of food. Alright, if you really want to know, French cuisine still is the best in the world. Does it really say May 1964? 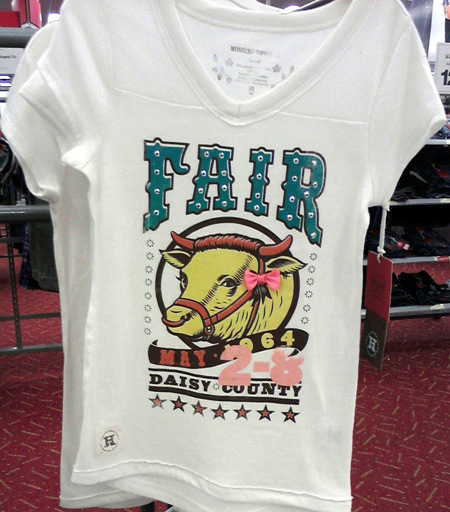 Is this a vintage T-shirt with a cow on it? Wow. 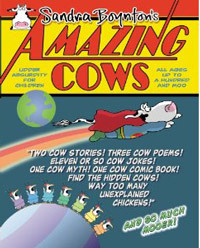 Wow cow! And if you’re wondering, yes, the pink ribbon is actually a real ribbon attached to the shirt. Lovely. I have to admit, although I find girls’ clothes a lot cuter than boys’ clothes, this is the one exception that makes me glad I have boys. 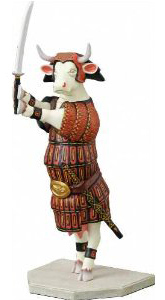 To view the other cow sculpture, as well as beautiful sculptures of other animals, feel free to visit Panamajama’s Blog. As for poor Sarah, she admits she now sees cows everywhere. I know she wants to blame me for setting the cow seed in her head, but really, she’s just another proof the daily cow sighting theory is for real. Thanks, Sarah! My kids have started pointing them out too. Thanks for the mention!